John McColgan is a professional drummer based out of Montreal, Quebec. He has been a part of the national and international music scene for over thirty years. During this time he has had the opportunity to play around the world, in a wide variety of musical styles on stages big and small, with many known artists such as Emmylou Harris, Linda Ronstadt, Buddy Guy, Michel Pagliaro and many more. He has played on over thirty albums in his career, including “The McGarrigle Hour” and “Gogh Van Go”, both Juno award winning releases. He continues to be in demand for concerts, tours and recording projects. 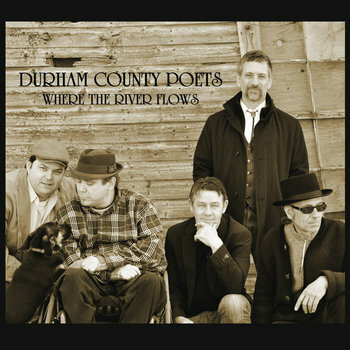 The latest chapter in John McColgan’s career began in 2011, when asked to produce the debut CD by local roots music group, The Durham County Poets. He has since gone on to produce, record and mix many other artists,including the Folk Music Award winning CD, “Count the Wicked”, by duo Mama’s Broke. He has now been able to put his years of experience as a session drummer to use on the “other side of the glass”, creating a relaxed, intimate atmosphere for musicians to create in. He has recently renovated the studio and upgraded his equipment, which includes Universal Audio Apollo interface and plug-ins, AKG Microphones and Golden Age pre-amps. “From the moment John greeted me at the door to his studio I could feel that we were going to do great things together. He brought out the best in all the musicians that participated in our recording project. As engineer, he was well equipped, creative, patient and focused. As producer, he was that coach that pushes you to be the best you can be without settling for less. Working at JMC Studio contributed to my artistic evolution in becoming a more experienced studio musician. Thanks for everything, John”! “Recording can be a nerve racking experience especially the first few times. One of John’s best qualities is his ability to put you at ease and get the best performance from you. You don’t feel that glass divide between you and the control room. You’ll walk away with a great album. It’s a no stress, easy peasy feeling. I’ve done many albums with John and love to work with him”. John McColgan has been teaching private drum lessons in Montréal regularly since 2006. He welcomes students of all ages and skill levels. Many of his students have gone on to perform, further their studies in music, teach, work in the industry, and simply enjoy their instrument! 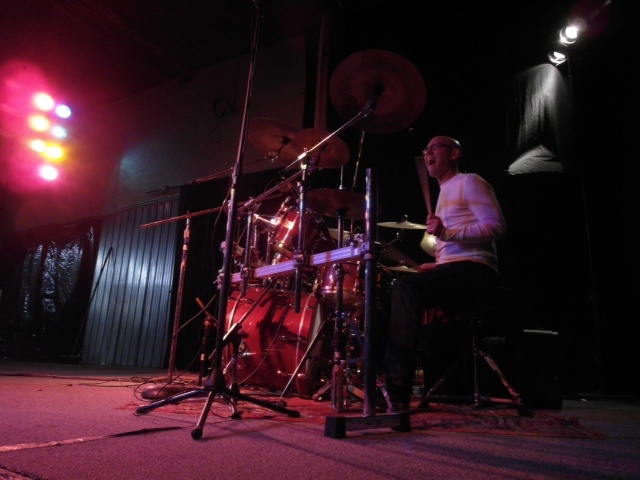 He has developed his own method based on the importance of fundamentals and musicality, and has performed educational clinics around the province.He teaches from his home, JMC Studio, where students can both play along to pre-recorded music, as well as jamming live with John on guitar or bass. "I have found that by working on the functional musical aspect of drumming directly, using song structure, I am able to get to the heart of what drumming is about very efficiently. This allows students an instant sense of context”. ‘’John is a true professional in all senses of the word. He clearly masters his craft and knows how to communicate and teach the material to take anyone from where they currently are and get them to whichever level they want to achieve’’. ”John McColgan is the ultimate way to becoming the greatest drummer you can be. The only thing that can trump his phenomenal skill as a musician and mind-blowing knowledge of the history and theory of drums, is his intuitive ability to teach all of it. I’ve been his student since I was 8 and can safely say his patience, thoroughness and sincerity doesn’t change whether he’s in a class with an 8 year old newbie or an advanced 19 year old. He is the best teacher, and probably coolest guy I know”.